Many stores offer in-ad coupons, as well as printable coupons, and in store coupons for meat, seafoods, poultry, fresh produce, flowers…redeemable only in their stores. These can be great when combined with sales. However, to get really great savings, you need alternatives! “Wine tags” provide one great alternative. A “wine tag” is simply a coupon or rebate that is often found hanging around the neck of a wine bottle. Wine tags can offer super savings for smart shoppers, and surprisingly, frequently have very little to do with wine. In fact, they are the place that you can find discounts on foods such as meat where you might not think it was ever possible to find a cents-of coupon. 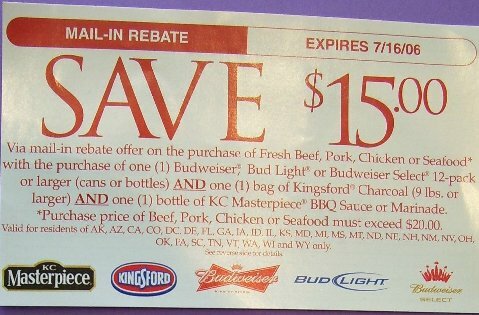 The “wine tag” term is used to describe several different types of coupons or rebates, For example, it commonly refers to any coupon found hanging from a wine, oil, juice, or other bottle or jar. 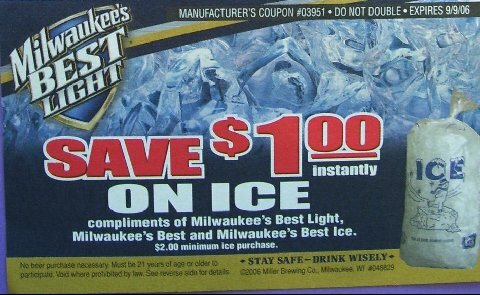 In addition, “wine tag” is used to describe any coupon or mail-in rebates (MIRs) sponsored by an alcoholic beverage company. For this discussion, only those coupons and MIRs found on wine (or other alcoholic beverage) apply. One of the surprising benefits of wine tag coupons and rebates is that they frequently do not require the purchase of wine or other alcoholic beverages. They do, however, typically provide $1 or more off the purchase of any brand of meat, beef, chicken, seafood, produce, cheese, flowers, cards, candy — even ice which are products that you would not normally consider something that you could find cents-off coupons or rebates for. Since they can typically be used on any brand of the specified product, such as, as $1 off “any chocolate item”, these coupons open a new realm of savings for shoppers. The key to benefiting from wine tags is to read them carefully as each will have purchase requirements that are unique. 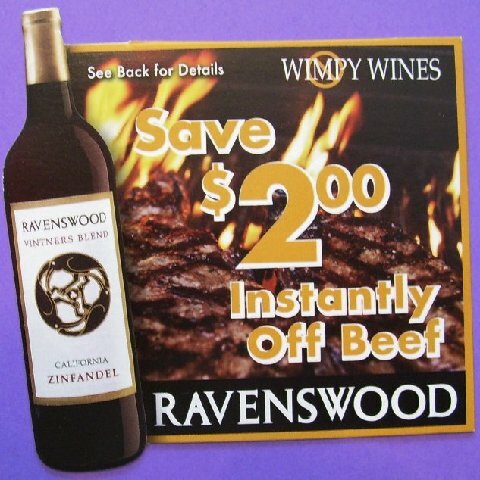 Some do require the purchase of wine or beer, while others will require a minimum purchase of the discounted item (for example, save $2.50 on beef; minimum $4 beef purchase required). Some are valid only in specific states. Most of these differences are actually based on the liquor laws for each state, so read the terms carefully, and recognize that these terms are not suggestions, but legal requirements. The allowances and any exclusions are stated on the wine tags, so it’s essential to read them carefully before redeeming them. Keeping your eyes open for different types of wine tags can go a long way to reducing your grocery budget since the discounts they offer are for foods which you are not likely to find discount coupons in the Sunday paper. It can be well worth the effort to pass through the alcohol section of your store to see what deals are available. do i have to purchase the wine to get the wine coupon?